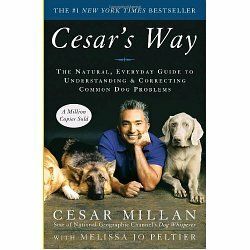 Cesar Millan is a world-renowned dog behavior specialist, known for his uncanny ability to walk large packs of dogs at a time. With your help we can reach more people and let them know about Cesar Millan The Dog Whisperer whether this product works or not. Cesar Millan have given me greater understanding of the needs of my dogs. Many owners do no really understand the needs of theirs dogs. Definitely a remarkable DVD. It has helped me deal with alot problems and most of all semi understand where they coming from.